Welcome to the Young European Arena of Research 2010 website. The Young European Arena of Research 2010 is a competition for early-stage researchers who are exploring the area of surface transport within their research. The competition will give the students an opportunity to showcase their work to experts within the field, both on the web and, for the best applicants, at the Transport Research Arena conference, TRA2010 in Brussels in June 2010. This site showcases early-stage research within the transport arena from across Europe. You can view all submitted abstracts in the Abstracts section of the site and browse through summaries of current research and expected deliverables within the field. This will stimulate your interest while also allowing you to compare work with others and possibly form collaborations with people that are in the same or complementary fields. 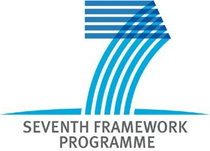 The YEAR2010 project is funded by the European Commission under the 7th Framework Programme. Transport Research Arena 2010 (TRA2010) will be jointly organised by the Conference of European Directors of Roads (CEDR), the European Road Transport Research Advisory Committee (ERTRAC) and the European Commission.